At Chiron K9 I offer the best in workshops/seminars and presentations. I have a PROVEN track record as a handler/trainer and assessor of canine teams. 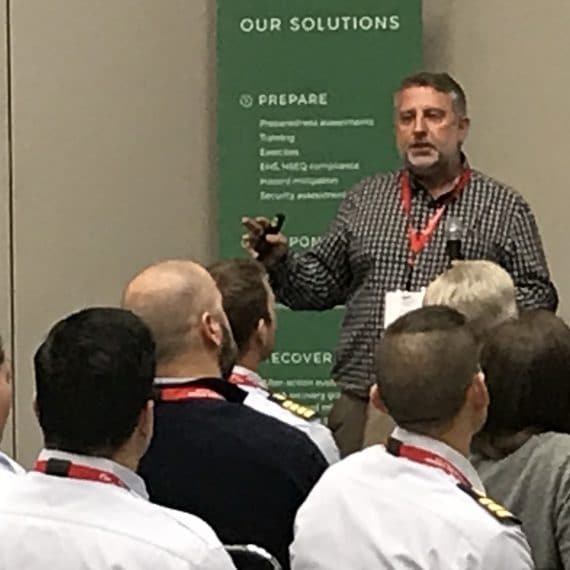 Being involved in training from procurement to deployment, Project Management, problem solving, unique program development, SOP production and scientific research and reports. I purposely maintain a small and unique company and this gives me the freedom to impart my knowledge and experience to the benefit of others. My business does not suffer from your success…….therefore I want you to succeed! Why? Because I have been in the field, I have handled detection dogs in operational environments, I have deployed to locations in support of counter terrorist operations, counter narcotic and environmental assessments. I have proven what I teach WORKS! By teaching and demonstrating proven techniques and methods that WORK! By coaching and informing, I hide NOTHING. I don’t hold back on anything I have learned and discovered in over 4 decades training dogs. By changing attitudes, beliefs, confidence, ability and performance. I work with you to understand your challenges and performance needs. I will support you with THE solution, teaching, mentoring, using PROVEN systems of training developed by myself and used by the Department of Defense. I do what I say I do and I hold myself accountable for your success. Bunker, P. (2012). Canine research & development advances. Geneva International Humanitarian Demining Center’s Animal Detection Systems Advisory Board Meeting, Geneva, Switzerland. Bunker, P. (2012). Environmental effects on odor. K9 Cop Magazine 2012 Conference, Nashville, Tennessee. Bunker, P. (2013). Canine research & development-Opening doors. Pennsylvania Veterinary University’s Science of Canine and Handler Training 2013 Conference, St. Louis, MO. Bunker, P. (2015a). Developing a passive response in detection canines. K9Cop Magazine 2015 Conference, Nashville, Tennessee. Bunker, P. (2015b). Developing a passive response in detection canines. Police K9 Magazine 2015 Conference, Las Vegas, Nevada. Bunker, P. (2015c). One day training workshop. Canine Accelerent Detection Association Conference 2015, Kansas Missouri. Bunker, P. (2016b). Oil Detection Canines. Clean Gulf Oil Spill Response Conference, Tampa, Florida. Bunker, P. (2016c). Canine research & development advances. Pennsylvania Veterinary University’s Working Dog Conference, Philadelphia, Pennsylvania. Bunker, P. (2017a). Utilization of Oil Detection Canines on Inland Waterway Spills. Clean Waterways Conference, Lexington, Kentucky. Bunker, P. (2017b). Proposed Certification Standards of Oil Detection Canines. Arctic and Marine Oilspill Program, Calgary, Canada. Bunker, P. (2017c). The Use of Oil Detection Canines on the 16TAN Response on the North Saskatchewan River . Arctic and Marine Oilspill Program, Calgary, Canada. Bunker, P. (2017d). 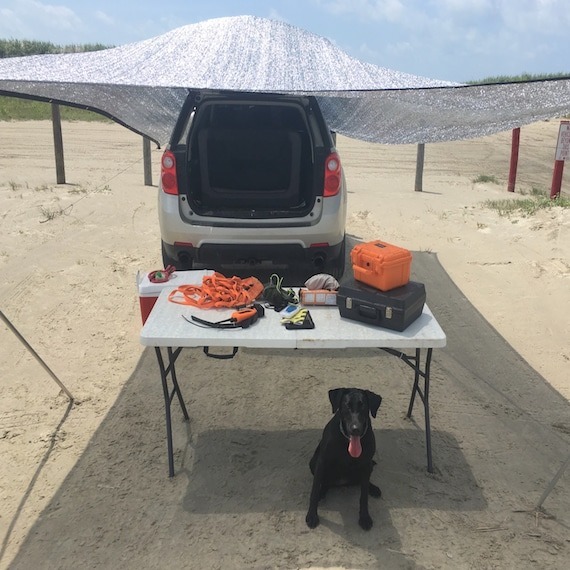 The Utilization of Oil Detection Canines. Clean Gulf Conference, Houston, Texas, USA. Bunker, P. (2017e). Integrating Canines into your Physical Security Program. InfraGard meeting, Raleigh. North Carolina. Bunker, P. (2018). 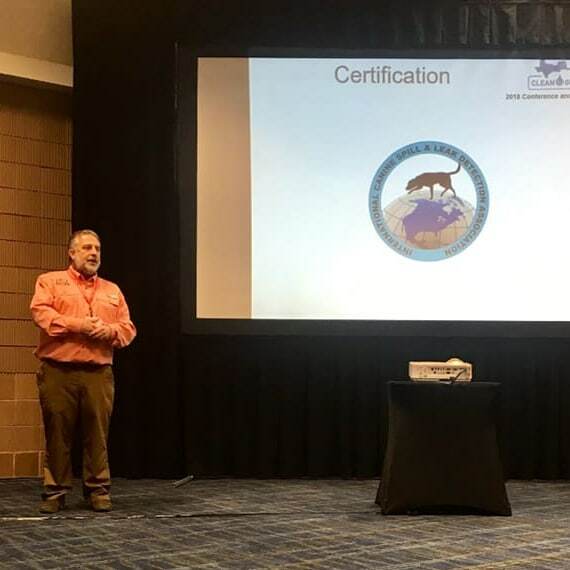 Certification Standards of Trained Oil Detection Canine Teams. Clean Gulf, New Orleans, LA, USA.